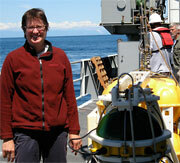 The OBS’s spent a year on the seafloor, and during that time became home to or were visited by some small sea creatures. With this post is a collection of photos of some of these small animals that came up with the OBS’s. 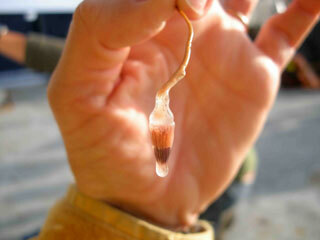 Most of them have very little pigment – can you guess why? This lobster was in the dredge mud from OBS10. It is about 2 inches long. 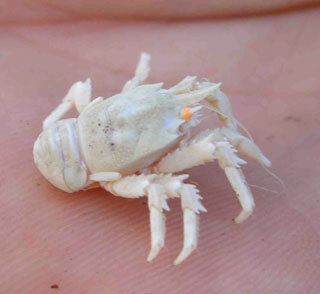 Its exoskeleton has sharp edges. We found a lot of these little lobsters. This one is about half an inch long. many of these plant-like polyps hung off the edges of the OBS and especially on the flag mast. They aren't much to look lik out of water. 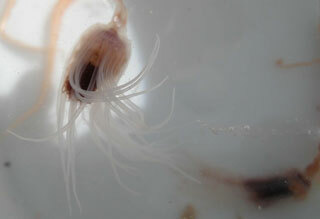 in salt water the polyps look like little jellyfish with long tentacles. Some of them had what appeared to be pieces of krill in their tentacles. This is a very zoomed in photo - the polyp is about 2 millimeters long. 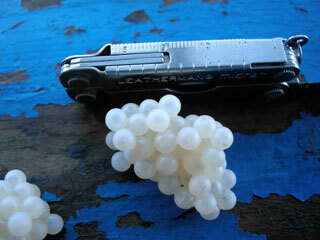 one of the first OBS's that we recovered had a large mass of fish eggs. You can see the little black eyes of the fish embroyos through the eggs. This reminded me of the beginning of the movie Finding Nemo. 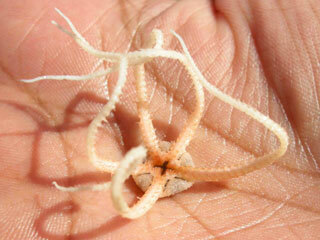 almost every OBS had one or two brittle stars on it. They hang on tight. Nature’s creatures are so awesome! How do you identify these as lobsters and not shrimp or other crustaceans? Hi Denise, I didn’t try to do a thorough identification. Crayfish are freshwater, so they aren’t crayfish (although in New Zealand and Australia they call lobster crayfish). The 2″ long lobster that I showed is called a Blind Lobster. 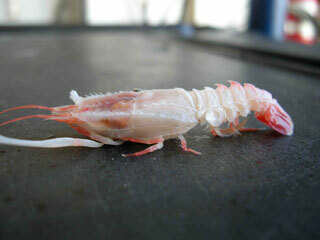 Shrimp swim more than lobsters, and don’t have the big front claws. Does anyone out there have more info on how to tell the difference between lobsters and shrimp?